Synergy: The interaction of elements that when combined produce a total effect that is greater than the sum of the individual elements. Although effective, this is only true if Team Members learn to work together. So what exactly makes a team effective? Consider for a moment adding the new acronym, G.R.I.P. G - Goals bring Team Members together and provide a common objective. 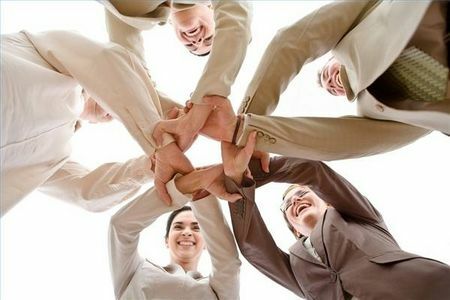 When Team Members set common goals, they are unified in purpose, thus creating Synergy. R - Roles need to be clearly defined so that every Team Member knows what to do and what other Team Members are doing. Roles ensure that everyone on the team has the opportunity and obligation to contribute. I - Interpersonal Relationships create trust, cooperation, and connection. Team Members must help others develop better interpersonal relationships. Our ability to connect, interact, network, work with, persuade, listen to, engage, serve, pay attention to, and get to know others comes into play in every aspect of our lives – especially in teams. P - Stands for processes and procedures. These are the rules which govern behavior, expectations, and consequences when standards are not met. By explicitly stating processes and procedures, every Team Member knows where they stand and what is expected. It makes it easy to be fair when people know their boundaries. Get a GRIP on Teamwork!